Arabescato Orobico Rosso, also known as Breccia Orobica Rossa is a famous italian marble, extracted in the North of Italy. The quarries produce blocks of various sizes. Their production started around the XVII century, when this marble was used for floorings, claddings, and crafted goods for churches and noble palaces. The polished finishing gives to the tiles of Arabescato Orobico Rosso an extraordinary brightness and it is warmly suggested for indoor floorings. However, thanks to its strong structure, this marble can be used also outdoor, preferably with other raw finishings. 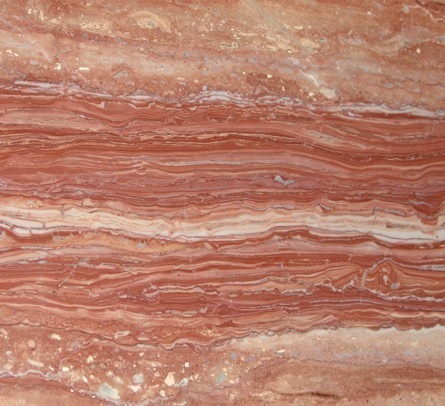 Breccia Orobica Rossa is often resined, in order to increase the strength of the slabs. Ziche processes all the slabs resining them with triple vacuum expoxy resins, in order to have slabs with a perfect structure, free of defect and porosity. Arabescato Orobico Rosso is commonly used for floorings, claddings, tiles, countertops, chimneys, columns,..